The 1:8 Glow-Engine R/C 4x4 Racing Buggy TRF801X (Item 84067) kit comes with a standard Clutch Bell (14T) which has a 1:11.34 gear ratio. 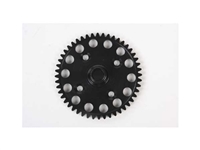 This new Clutch Bell (15T) allows you to further customize the settings of your machine with a gear ratio of 1:10.58. 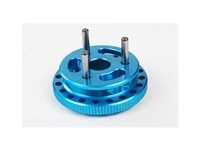 This clutch bell is also compatible with 1:8 Glow Engine R/C 4x4 Racing TruckTRF801XT (Item 49497) providing a gear ratio of 1:1.14.33. Clutch Bell (15T) x 1pc. 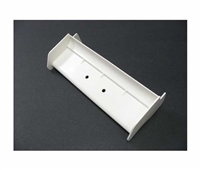 Improve your machine's chassis rigidity with these precision-made aluminum braces. *Cannot be used with 1/8 Glow Engine R/C 4x4 Racing TruckTRF801XT (Item 49497).